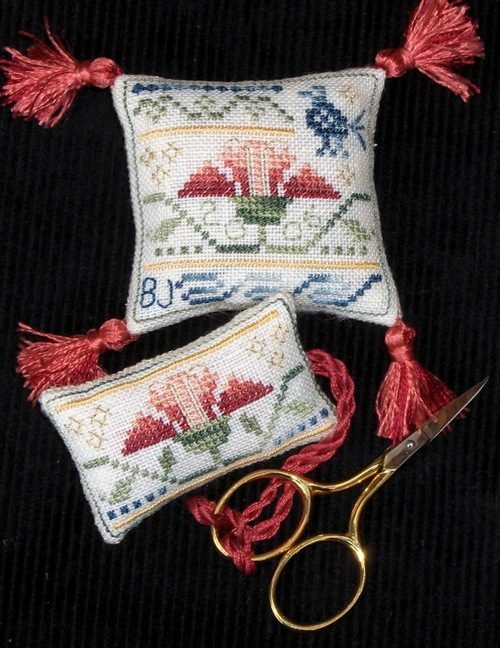 Stitch a charming pincushion and scissors fob. 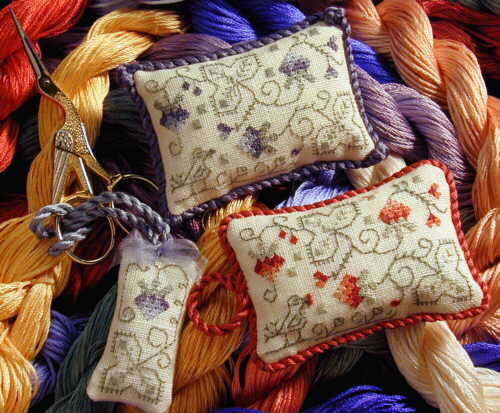 Worked in Pearsall’s silk on 35-count cream linen, this counted thread pair will be an elegant addition to your stitching accoutrements! 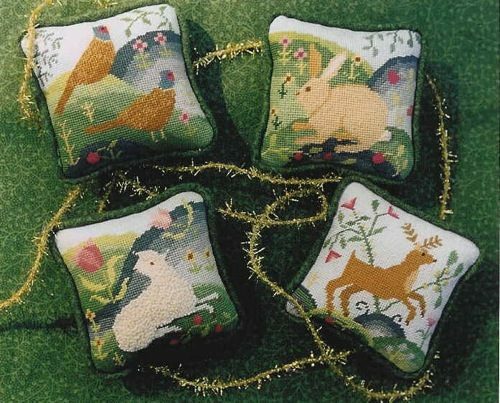 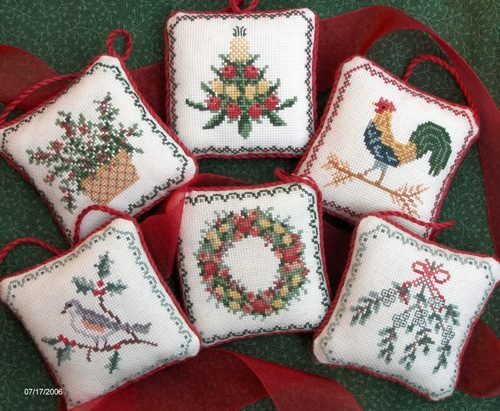 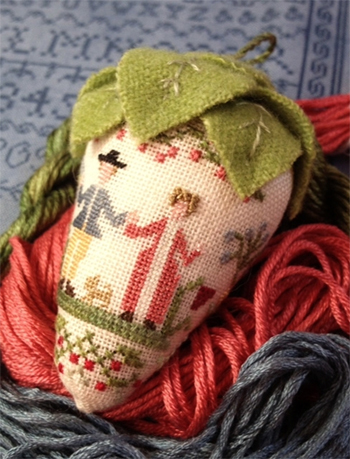 The kit includes the instructions, linen, and silks to stitch one pincushion and one scissors fob in your choice of soft red or blue hues, with willow green stems and leaves.